Short version: selling like-new Strop Shoppe Special Edition soap and a rosewood handle boar brush for $19 shipped CONUS. More details below. 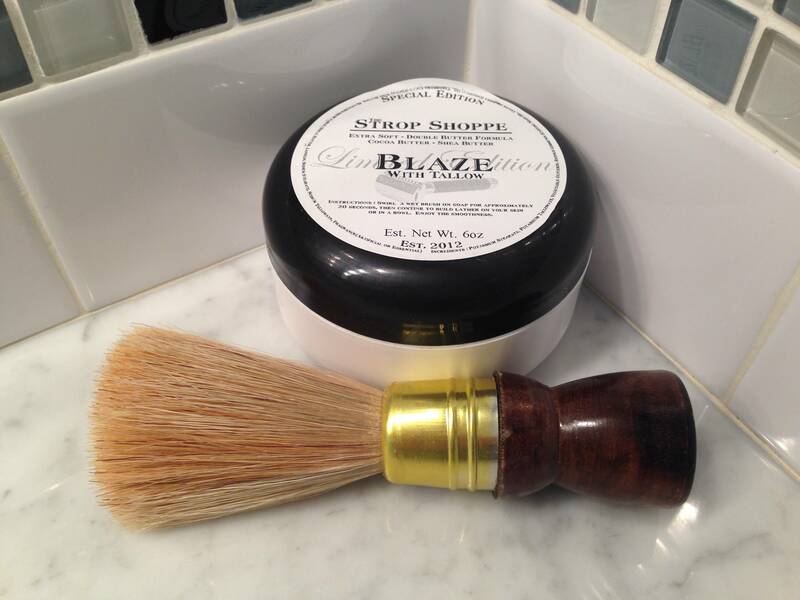 Soap: The much acclaimed Strop Shoppe Special Edition with tallow. Blaze was a limited edition scent. Smells very nice - sandalwood base I think (which is why I must sell; allergic reaction). 99% full; only 2-3 test lathers done. Sells new for $18.49+$6.45 shipping. Trade offers ok. I am interested in Mystic Waters, Mikes, Feather DE blades, Cobra classic - try me on others.